We're strong believers that reading a few key pieces of literature before and during your trip can significantly change your perception of this extraordinary corner of the world. Magnetic North by Sara Wheeler: Sara Wheeler is a well-established travel writer who has made a name for herself exploring some of the wilder parts of the world. This novel sees her exploring the different regions that make up the Arctic, staying with the people that live and work there and describing, brilliantly, their ways of life. Svalbard - An Artificial Life by Julia de Cooker (photography): A wonderful collection of photographs from Svalbard taking in a wide range of subject matter from bright white snow scenes to the colourful aurora of night, as well as the people, the miners, bar workers and families that call Svalbard home. 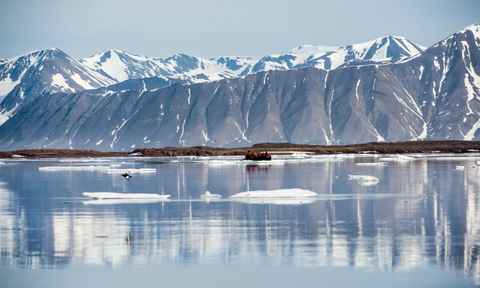 Spitsbergen-Svalbard: A Complete Guide Around The Arctic Archipelago by Strange Rolf: A highly detailed and well-researched guide to the archipelago with some stunning photography and rare detailed maps of key sites. This makes either a great research book to read before you travel or a brilliant companion during your trip. The First Crossing of Greenland by Fridtjof Nansen: Told by the man himself, the story of the first crossing of the Greenland ice cap. A Wilder Time: Notes from a Geologist at the Edge of the Greenland Ice by William Glassley: A professor of geology, Glassley has spent many seasons exploring the edge of the ice in West Greenland. This book is a dramatic account of how global warming is affecting the planet and contains some startling insights into the way our planet is evolving. The Long Exile: A true story of deception and survival amongst the Inuit of the Canadian Arctic by Melanie McGrath: This book follows the story of Joseph Flaherty, son of filmmaker Robert Flaherty who made the infamous Nanook of the North. Joseph was part of a great re-settlement of Inuit communities carried out by the Canadian government in the 1950s. This re-settlement was sold to them as being the start of a new life in an Eden-like environment, but turned out to be nothing like that. My Sea Lady - Graeme Ogden: An epic memoir of life in the Arctic Convoy, protecting the lifeline that kept the Allies in the war, My Sea Lady perfectly captures the anxiety, bravery and fortitude of those who battled both elements and the Axis in one of the toughest environment on earth. Written by the Great Grandfather of our very own Arctic specialist, Tennessee Blackmore. There's no shortage of tales to be found here, from desciptions of some of the most important explorations in history, to fascinating accounts of communities that live on ice and snow, under the northern lights, surviving in 24-hour darkness and light. The Svalbard Passage by Thomas Kirkwood: It’s the height of the cold war and the suspicious death of a team of climbers in Svalbard leads the world's two superpowers to the brink of nuclear war. 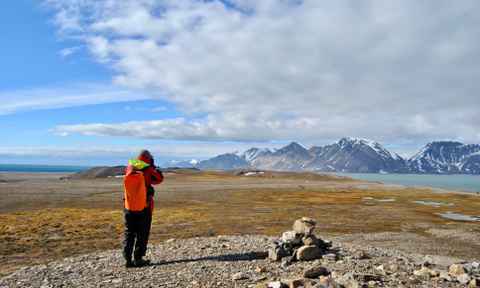 For anyone visiting Svalbard it gives a real sense of the importance of this archipelago in recent world history. Dark Matter by Michele Paver: In 1937 a team of young scientists head to a remote lodge in the Arctic wilderness where they will spend the winter. One by one they are forced to leave until only Jack is left. It seems though, that he is not alone... This is a brilliantly written ghost story, full of brooding atmosphere, drawing on the scale and remoteness of Svalbard and the way in which 24-hour darkness plays with the mind. Nanook of the North: Something of a legendary film shot in the 1920s by Robert Flaherty. There is a lot of ethical debate around this film, concerning which elements may have been staged, as well as the way in which Flaherty interacted with the Inuit. However, it is a seminal work which will take you through the life of an Inuit family as they hunt and gather their food, build an igloo and survive through the seasons. Frozen Planet: With captivating images filmed by award-winning crews and narrated by David Attenborough, this seven-part documentary series covers life in both the Arctic and Antarctica in staggering beauty and detail. Arctic with Bruce Parry: A five-part BBC documentary series in which the adventurer and explorer Bruce Parry visits local communities to live alongside them and discover the dramatic changes in their lifestyles. How I Ended This Summer: A critically-acclaimed Russian film. 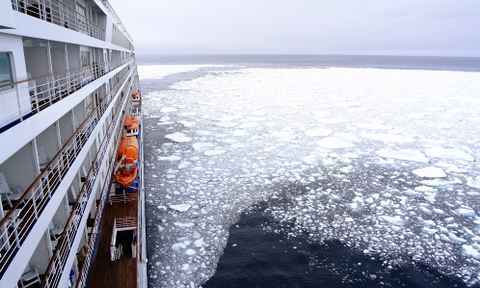 Sergei and Pasha are working on a remote island in the Russian Arctic, collecting meteorological readings every four hours to report back to the mainland. Things soon go wrong and the two fall out with near disastrous consequences. Atanarjuat: The first film ever to be filmed entirely in the Inuktitut language, this tells the story of an ancient Inuit legend. The marriage of Atanarjuat to his two wives provokes the son of the tribal leader who kills the brother of Atanarjuat. The latter, for his own safety, flees on foot across the ice.